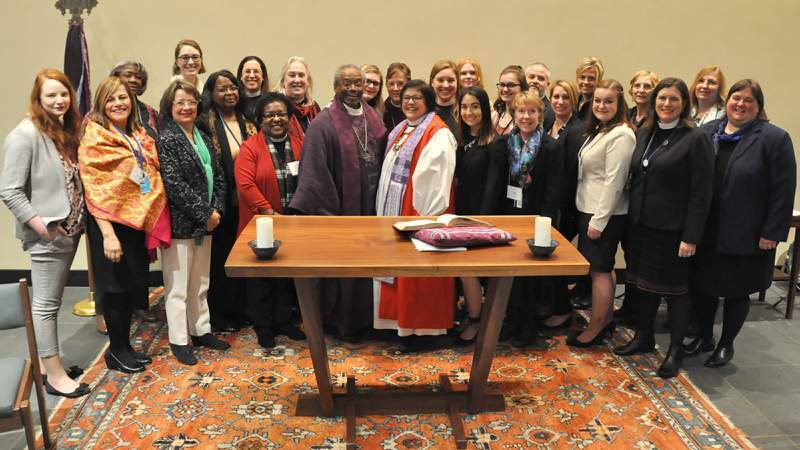 Annika Lewis (back row, fifth from right) in March with other members of the Episcopal Church delegation to the U.N., including the Church’s presiding bishop, Michael Curry (front center, wearing a purple stole). Annika Lewis discusses life as a woman in Montezuma County with women in leadership positions in Montezuma County on Dec. 15, 2017. 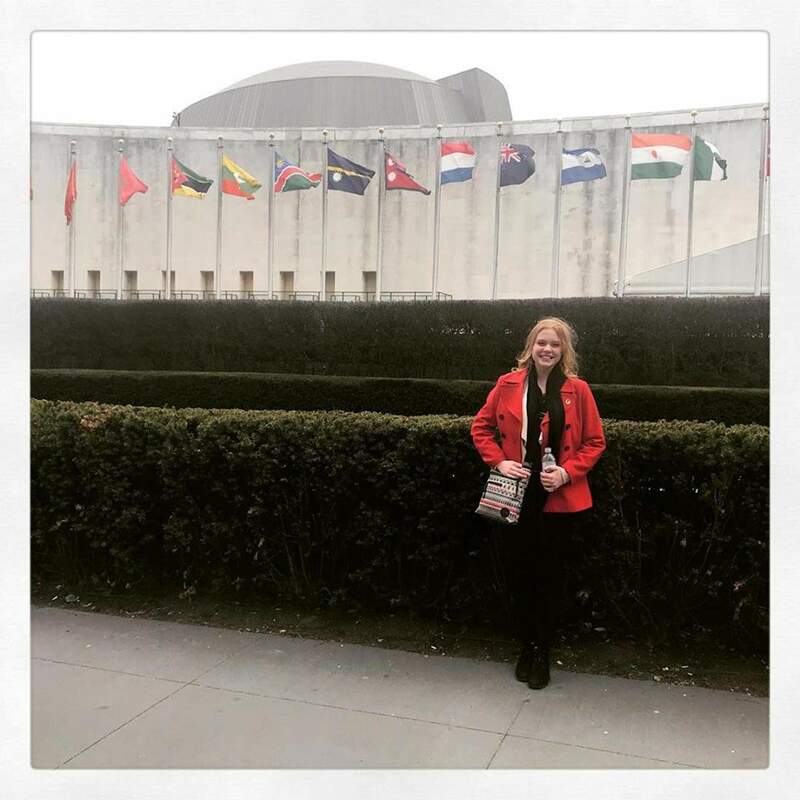 Annika Lewis, a student at Montezuma-Cortez High School, stands outside the United Nations headquarters in New York City where she spent two weeks in March attending the U.N. Commission on the Status of Women with a delegation from the Episcopal Church. Kudos to 15-year-old Montezuma-Cortez High School student Annika Lewis for representing rural U.S. women at the 2018 session of the U.N. Commission on the Status of Women (Herald, Feb. 25). Kudos, too, to her parents and St. Barnabas Episcopal Church and the Rev. Leigh Waggoner for encouraging her and facilitating her participation, and to those who helped with her expenses. Lewis was part of the delegation of Michael Curry, the Presiding Bishop of the Episcopal Church. Although she was one of only three members of that group who were younger than 18, she was well qualified and well prepared to participate. Each year the commission’s theme is different, though always relating to the well-being of girls and women worldwide. This year, the focus was on gender equality in rural areas, a subject on which Lewis, as a resident of Montezuma County, is well informed. 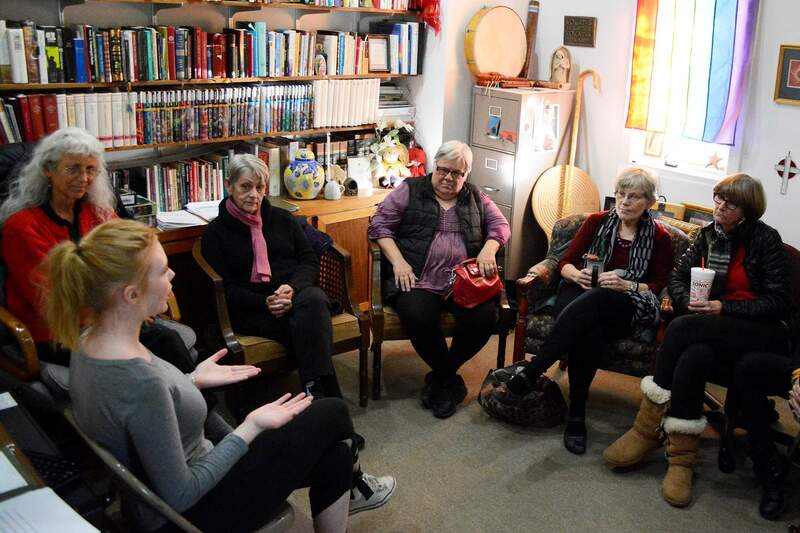 She gathered stories from local women and girls and met with seven women in leadership positions. Her highest goal, she said, is to help teen girls realize they have a future. “They haven’t seen all the things that they can be,” she said, and that’s a powerful insight. Yet ,while young women here may have fewer, or different, opportunities than they would in more affluent or more densely populated areas, they still have many more rights and opportunities than women in much of the world. Her discussions with local leaders, followed by 19 other delegates from across the globe, was spent discussing education and leadership opportunities for rural women. The experience made her more aware of where Montezuma County fits on the continuum and what improvements can be made. Sharing local stories on a world stage is a very compelling form of advocacy, and the entire Southwest Colorado community should thank Annika for her courage and commitment. Her voice, as with the other teens nationwide increasingly finding theirs, is important. We are glad that it has been heard at such a high level.